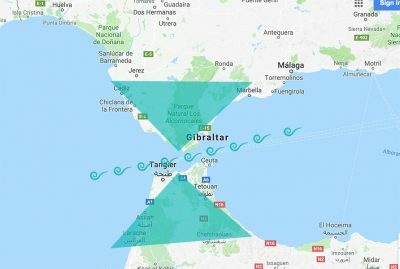 Is Tarifa a good spot to learn kitesurfing? How does a Kitesurfing course in Tarifa work? 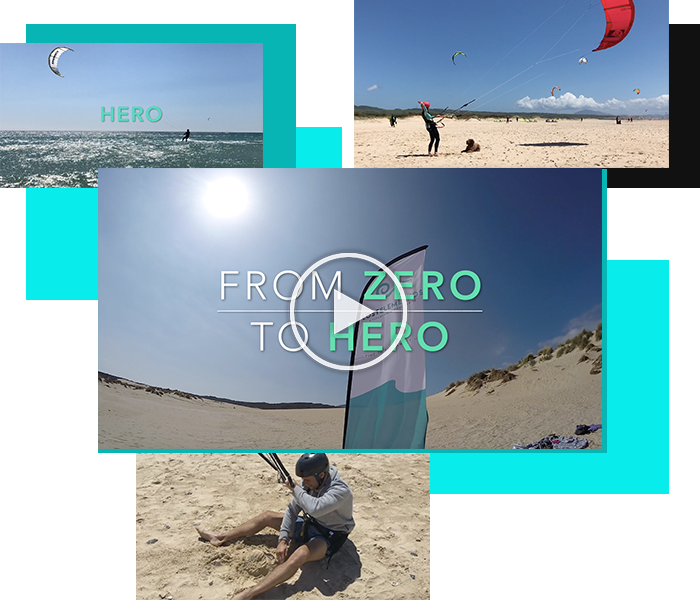 Inspired by people asking on Facebook if Tarifa is a good place to learn kitesurfing, or actually by some people answering to this questions, I decided to introduce you to a more professional point of view. Many people book holidays to places like Egypt or Zanzibar, thinking that the perfect flat lagoon with shallow water and low wind conditions will make a perfect spot to learn kitesurfing. From the perspective of an Instructor with an experience in this type of places, I can assure you they couldn’t be more wrong. When traveling I work also as sport therapist, specialised in kitesurfing. On one of Lost Elements Kitesurfing trips, a women was referred to me with a “whiplash” after an unsuccessful water start. She landed with her head in the sand due to the shallow water. I don’t even want to mention the amount of people that come out of the water with cuts from broken shells or that step on a sea archon. Did you really learnt how to body drag properly? Another negative thing about the shallow water spots is that usually schools either don’t teach properly how to body drag, they don’t teach it at all or they spend the minimum time on teaching body drags. This usually means that your kite control won’t be great when you try your water start, so this step in your kitesurfing course will take you longer. Most importantly, as soon as you practice kitesurfing on a high tide or different spot with deep water and you loose your board, you will realise that you don’t know how to body drag to retrieve it, and this will cost you several €€€. Flat water, is it really an advantage? Of course, flat water in kitesurfing is always nice to do first steps or practice new tricks. However, many fresh riders, unconsciously limits them selves to only this conditions. If you only know how to practice kitesurfing in flat water, you will probably need to hire an instructor when you go to another spot with a bit of waves or chop water, because your ability to ride will drop dramatically. I can refer to it, as part of my training as a rider took place in Egypt. When I went back to my home spot, with a bit of chop, I had to learn how to kitesurf again!… of course it was very frustrating. Are low winds safer for kitesurfing? Low wind conditions is what attracts many faint hearted, “It’s safer!” is what I hear. Not many people know that the most professional and the safest way of teaching is by using short lines set up. Just to explain, most of kites on the market come with about 22-25m lines, for the first experience in kitesurfing, the lines length should be about 5m. The main reason for this is that with such a short lines, the student won’t be able to loop the kite and be dragged on the beach as the power zone is very small. So the shorter the lines, the smaller the power zone and the safest for the student when learning kitesurfing. The problem with learning kitesurfing in the low wind conditions, is that there is many days when the kite hardly hangs in the air even with long lines, so there is no chance to teach on short, therefore, students are thought on long line set up which is very dangerous, because the power zone is so big, that even fully depowered kite is able to generate enough power to throw the student in the air. Now, time to talk about Tarifa, ”The wind capital of Europe”. Here we have full spectrum of conditions, from perfectly flat water with cross-offshore winds, to chop on very strong side off-shore winds or waves on an cross-onshore conditions. The water is never shallow to walk with kite while practicing, but didn’t you want to learn a water sport? Only by practicing in deep water you will become fully independent and confident kitesurfer. One thing you have to know about the wind, it’s actually easier to learn kitesurfing with 40knots wind than with 12 knots. The kite is more responsive, forgiving in case of mistakes, easy to relaunch from the water and it doesn’t back stall. Most import for you is actually the fact that it’s much safer learn kitesurfing on high winds since you can learn with short lines, as mentioned before thanks to very narrow power zone. Short lines will give you much better feeling of the kite during first hours of your training, they will make easier for you to understand the behaviour of the kite. This will give you faster results and improvement. Tarifa, the never ending wind spot for Kitesurfing. Why? Tarifa is one of not many places in the world with almost guaranteed wind. Not everywhere you can explain never ending wind this easy, but fortunately the magic of Tarifa is less than rocket science. If you have a look on the map, you will see the most souther part of Europe in a shape of triangle, pointing down straight to Africa. On the tip of that triangle is Tarifa. Now, if you have a look lower, there is almost identical triangle sticking out from Africa. On both sides of the ocean there are mountains. This specific shape of the landscape, compresses the wind between Africa and Europe, making it accelerate and creates so called Venturi effect, on a very large scale. This give Tarifa almost guaranteed wind for everyday of the season. Almost everyone who is serious about becoming a kitesurfer, goes home happy. If you want to become good, confident and most important safe rider, be capable of dealing with any sort of conditions, Tarifa is the place to be. Head Elements Connector at Lost Elementos and Kitesurfing Massage Therapist. Your’re right. But as side effect, if a instructor or school just don’t properly explain how to bodydrag, and what it is good for, you wont learn even that in 3 days. If the school lets you go in the water without the promised radiohelmet, you won’t hear what the “instructor” is shouting, or he’s talking to the next bikini girl at the beach. In fact, beside the spot it is a matter of the quality of the school and instructor, wich makes you learn efficently. Thanks for taking part in the conversation. I totally agree with you that the skills of the Kitesurfing Instructor are the key to the success. We have to recognise, that kitesurfing it’s industry like every other- you can find some “Cow boys” (not to disrespect them of course). Through out each season I come across quite few students that ask for lessons to improve their riding, but we quickly find out that they don’t know how to body drag. As mentioned in the blog, they usually come from shallow water teaching, never had one from Tarifa. The reason is very simple.In Tarifa more than 90% of the wind blows 20-40 knots cross-offshore. If Kitesurfing Instructor sends his student without mastered bodydrags, there are huge chances, he will never see his board again. Of course, it can happen that you loose a board even with very well prepared student, but trust me, no school will keep instructor who comes without the board too often, so every instructor truly prepares his students here. Tarifa is has a very well organised teaching zone and even that the spot may look very busy at times, students learn here with piece of mind. Now I would like to refer to your comment about the “Radiohelmets”. There are two types of schools. Some of them use radios, others don’t. The ones that use radios on their kitesurfing lessons, claim that they can easily tell the student, when to stop if they going too far from the shore or too close to another kiter or constantly what to do. The ones that don’t use radios say that radios slow down progress of students becoming independent rider. When the students are in the water, they should start using their imagination, learn to estimate the distance from others or the shore, evaluate their situation and recognise potential danger as early in their evolution as possible. Kitesurfing is a lot of fun, but there are certain instincts that have to be develop ASAP as in the “Real world” there will be no instructor on the other side of the radio. Personally i prefer the second method and this is what I’m using. Properly prepared student will know what to do in the water at each step, but of course the choice is yours. Thank you once again for participating and I hope I could help.